Yankari Game Reserve was upgraded to a national park in 1992, although it was later handed over to the Bauchi State Government in June 2006. The parks cover a total land area of approximately 20,156 km2, or about 3% of Nigeria’s total land area. 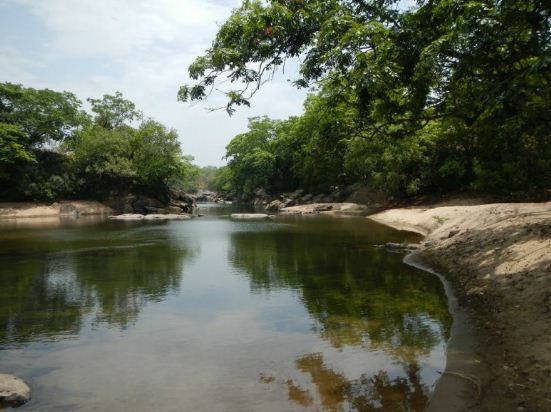 The Nigerian national parks include: Chad Basin, Cross River, Gashaka Gumti, kamuku, Okomu,Old Oyo and Yankari (now owned by the Bauchi state government). Our focus today will be own Gashaka Gumti National Park in Taraba state. The park is located in the eastern states of Taraba and Adamawa to the border with Cameroon.It was gazetted from two game reserves in 1991 and is Nigeria’s largest national park. The total area covers about 6,402 km2, much of the northern GGNP is savannah grassland, while the southern GGNP sector of the park has a rugged terrain characterized by very mountainous, steep slopes as well as deep valleys and gorges, and is home to montane forests. Altitude ranges from ranging from about 457 metres (1,499 ft) in the northern flatter corner of the park, up to 2,419 metres (7,936 ft) at Chappal Waddi, Nigeria’s highest mountain in the park’s southern sections. It is an important water catchment area for the Benue River. There is abundant river flow even during the markedly dry season. Enclaves for local Fulani pastoralists exist within the park boundary that allow for farming and grazing. The fauna of the national park is very diverse. 103 species of mammals have been recorded at censuses. Species includeyellow-backed duiker, African golden cat (Profelis aurata), The African buffalo, the largest population in Nigeria of chimpanzee(Pan troglodytes) is found within the boundaries of the national park. To protect the animals and the ecosystem, the Gashaka Primate Project was launched. Living in the national park are also the African elephant (Loxodonta africana), the klipspringer(Oreotragus oreotragus), the West African wild dog (Lycaon pictus manguensis), the hartebeest (Alcelaphus buselaphus), the world’s largest antelope, the giant eland (Taurotragus Derbianus), the roan antelope (Hippotragus equinus), the kob antelope(Kobus kob), the oribi (Ourebia ourebi), and the rare Adamawa mountain reedbuck (Redunca fulvorufula) in larger stocks. The avian fauna is very rich and diverse, there are stocks are up 1 million birds estimated. The park is officially labelled as one of Africa’s “Important Bird Areas” and with more than 500 species found, and visiting bird watching enthusiasts are constantly adding new species to the list. The red faced lovebird is only found here and in the Central African Republic’s Bamingui-Bangoran National Park and Biosphere Reserve . In November 2002 an isolated population of the red sunbird bush, an ornate species of the acanthus family, was discovered in the 8 km2 Leinde Fadale forest in the uplands adjacent to the park. The species occurs here at 1,600 to 1,670 m.a.s.l., and some 1,200 km from the nearest populations in the Afromontane archipelago. It has been suggested that the park boundary should be extended to protect the forest.